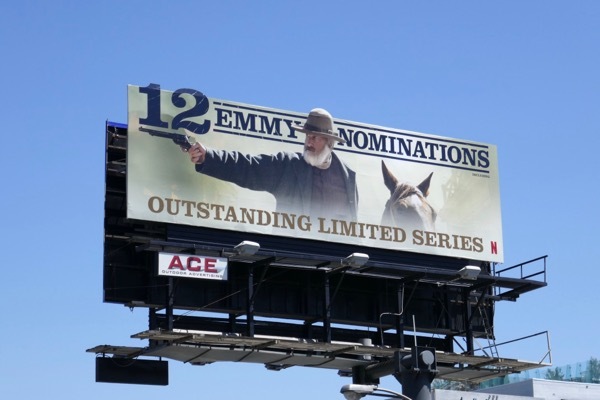 In Netflix's 2017 Western mini-series, Godless, Emmy-winner Jeff Daniels plays 'Frank Griffin', a murderous outlaw hunting down former protege 'Roy Goode' (played by Jack O'Connell) who has taken refuge in a New Mexico town mostly inhabited by women, including Michelle Dockery's 'Alice Fletcher', after a mining disaster has killed the majority of the men. 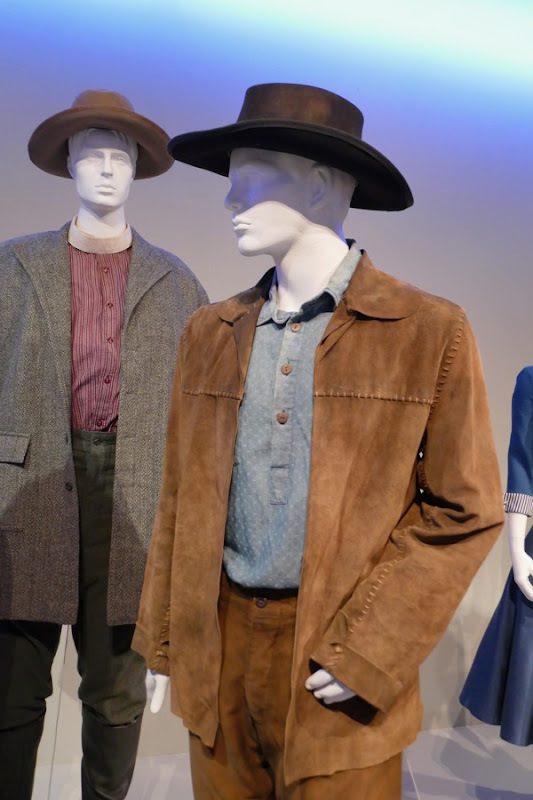 Betsy Heimann was Costume Designer on this limited series set in the 1880s Wild West, with the help of Assistant Costume Designer Maria Tortu and Costume Supervisor Gina Aller. 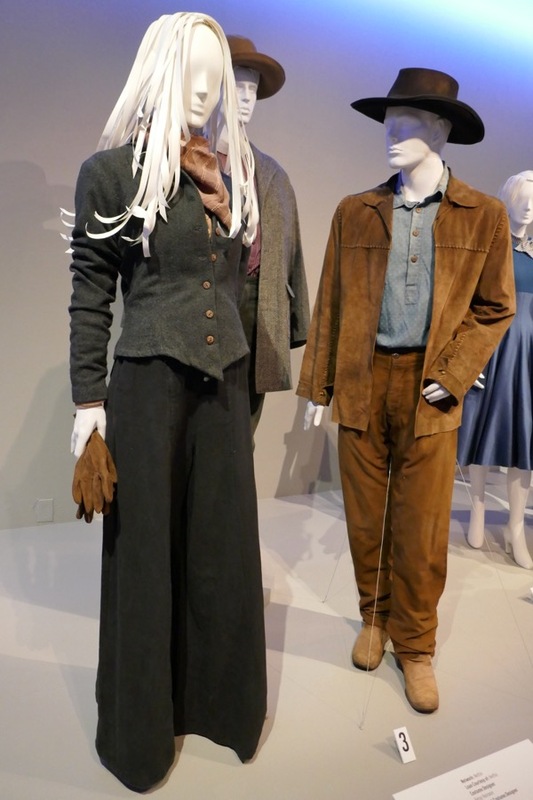 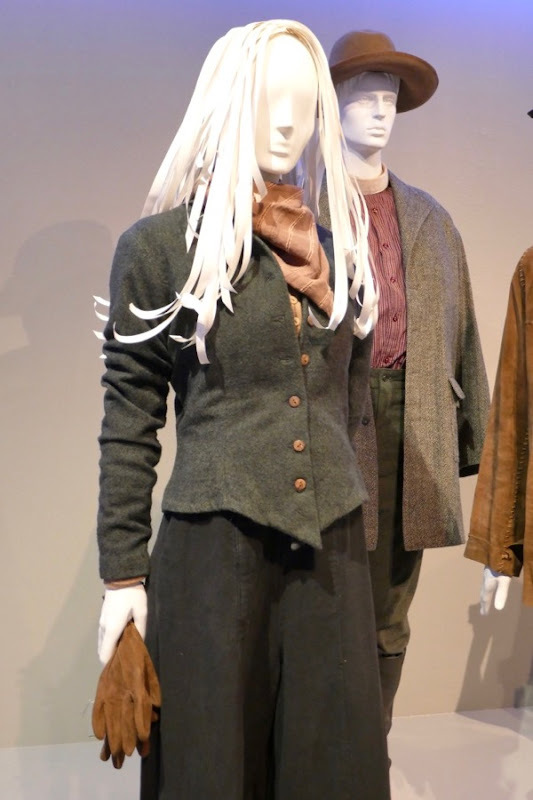 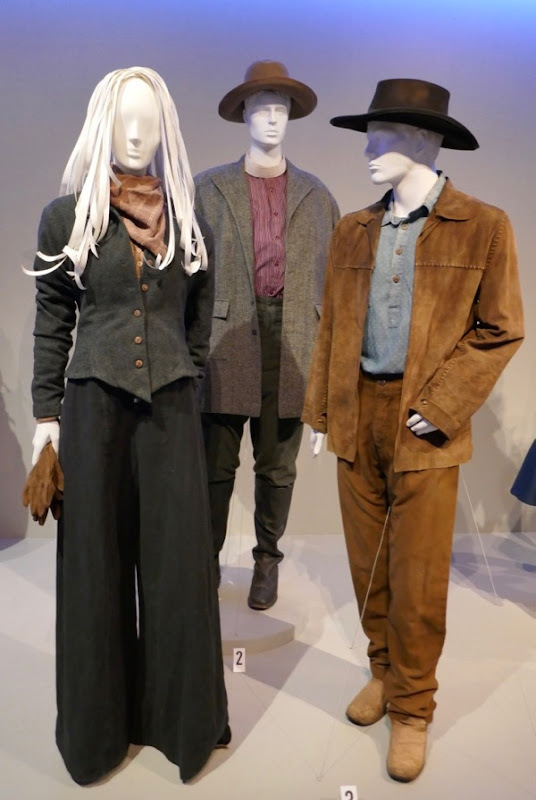 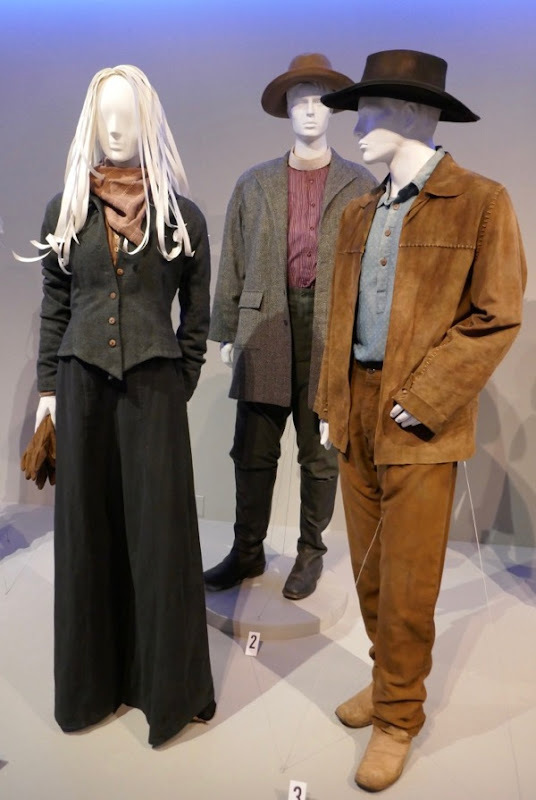 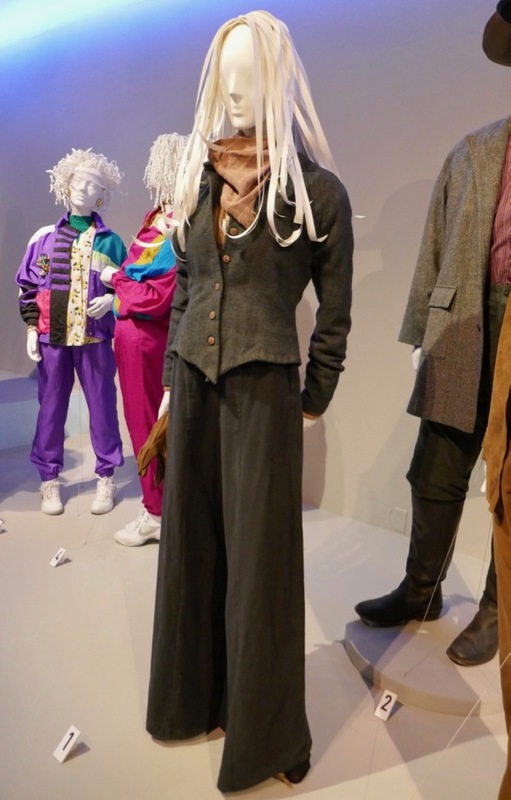 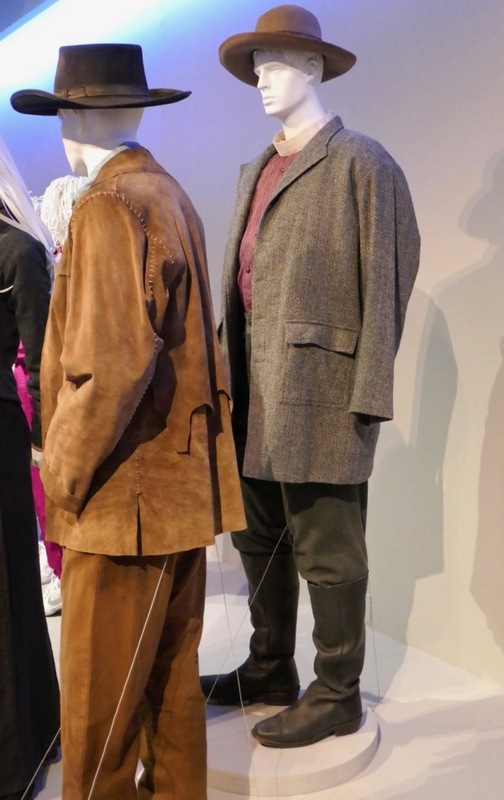 This trio of costumes from the seven-episode series were photographed on display at Downtown L.A.'s FIDM Museum on August 21, 2018, as part of the 12th annual Outstanding Art of Television Costume Design exhibition. 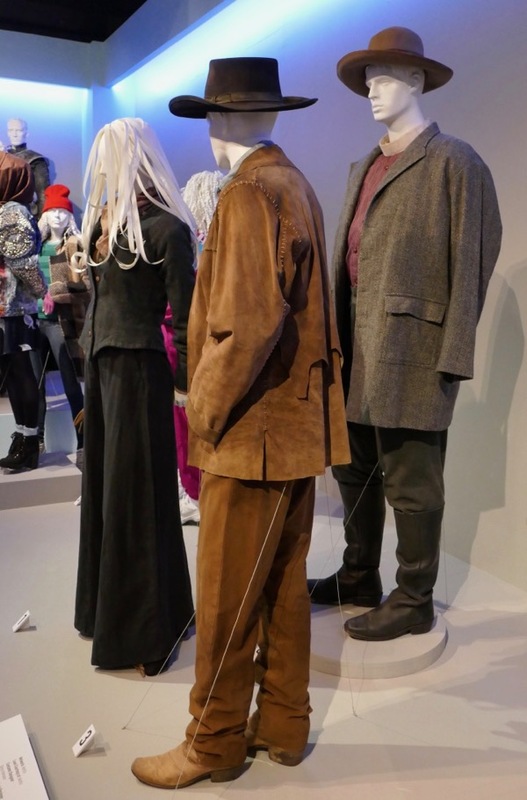 Admirers of Michelle Dockery can also enjoy these costumes from Downton Abbey, whilst fans of Jack O'Connell can check out his WWII costume from Unbroken and you can also see Jeff Daniels film costume from Away We Go on display on this blog.